CENTER’s premier juried portfolio review event, the Review Santa Fe Photo Festival, is a weekend conference and festival for photographers who have created a documentary project or fine art series that are seeking audience expansion, critical discussion and community gathering in a profoundly unique sense of place. Join us in the foothills of the Sangre de Cristo mountains for several special programs including artist talks, pop-up exhibits, a print raffle, and a closing reception. This special weekend festival has been called one of the most effective professional development programs for photographers in the world. The reviewers and the 100 Photographers travel from around the world to take part. Hosting over 1,000 one-on-one portfolio reviews with curators, editors, publishers and international festival directors whom each year come to Santa Fe to view the photographic vanguard. View the 2018 Program Guide for an idea of what the RSF weekend encompasses! *Invited Photographers will be announced end of April, 2019. Festival Passes allow access to the lively receptions, conversations, and career advancing opportunities the weekend conference offers. 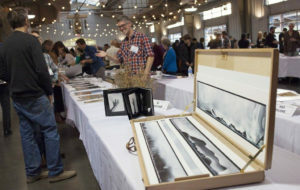 Festival Pass holders can take part in à la carte portfolio reviews*, receptions and artist talks to meet documentary and fine art photographers, editors, educators, publishers, collectors and other photography lovers. Read more about how to purchase a Festival Pass Here! 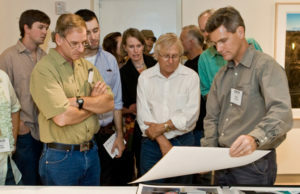 The Review Santa Fe Reviewers are carefully selected curators, editors, book publishers, gallery and festival directors. We invite those that take an active interest in sourcing new talent in efforts to create the most worthwhile investment for the photographers and the festival pass holders. At Review Santa Fe we work hard to research and include reviewers that are offering more than feedback, but also opportunities for career advancement and placement of your work in a supportive and friendly environment. 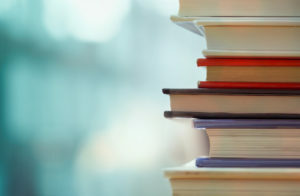 Check out the 2019 Reviewers here. CENTER offers TWO Photographic & Project Advancement Workshops during the Review Santa Fe Photo Festival Weekend. Over the course of two days this workshop will focus on photographic project advancement from honing a statement of purpose to identifying collaborators, securing funding and effective presentations for curators, editors and other image professionals. Preparing for Portfolio Reviews is a two-day workshop dedicated to helping photographers refine and perfect their portfolios to maximize their time in reviews and other professional meetings. CENTER is pleased to provide a platform to present the 100 portfolios of the 2019 Review Santa Fe Photographers publicly, with a chance to network with other Photographers, Reviewers, and the Santa Fe art community. The Portfolio Walk hosts esteemed gallerists, curators, editors and other photography enthusiasts to view a broad range of contemporary photography encompassing social, environmental and political issues, including stellar fine art projects. 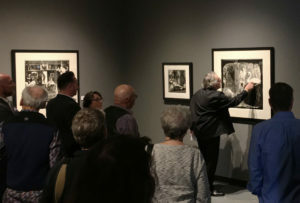 CENTER’s 2019 Award & Grant Winners travel to Santa Fe, as part of the Professional Development Package, to present their work at the Review Santa Fe Photo Festival. 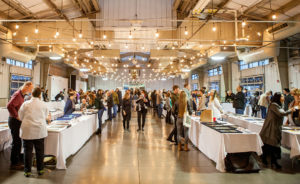 In its second year, the photographic book fair will include several notable photographic book publishers, indie publications and selected photographers. *Tables are available for purchase, please contact us at programs@visitcenter.org for details.